Discussion Snake Eyes S&W - Thank You Stu! 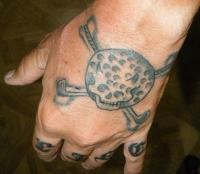 Snake Eyes S&W - Thank You Stu! 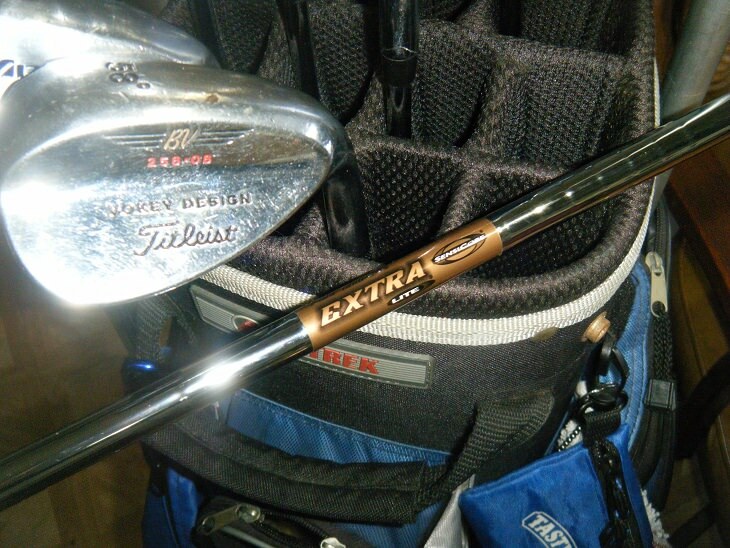 The SE 19 degree Quick Strike is set up just a little shorter than a modern 3 Wood to play as a 4 Wood. 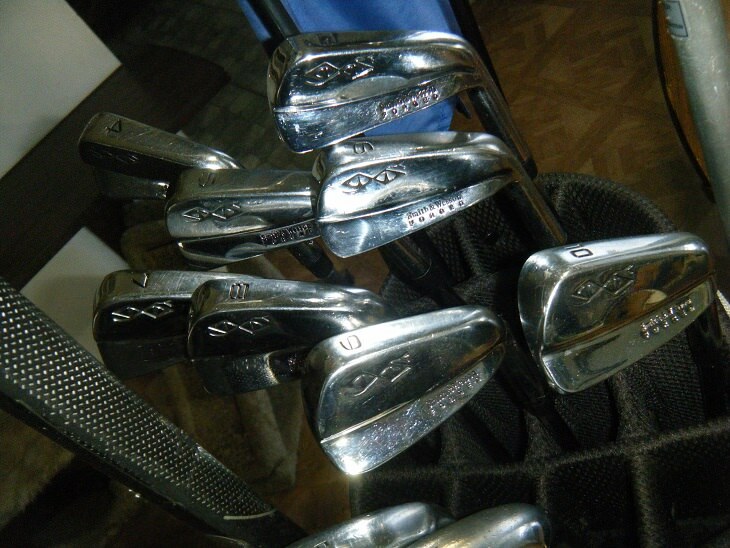 The Snake Eyes S&W MB1: 3 iron is set at 39 1/2" and dropping a 1/2" down thru the 10 iron, MP 52-07, and Vokey 258-08. I will be playing a brass milled face Answer style Slotline Putter. 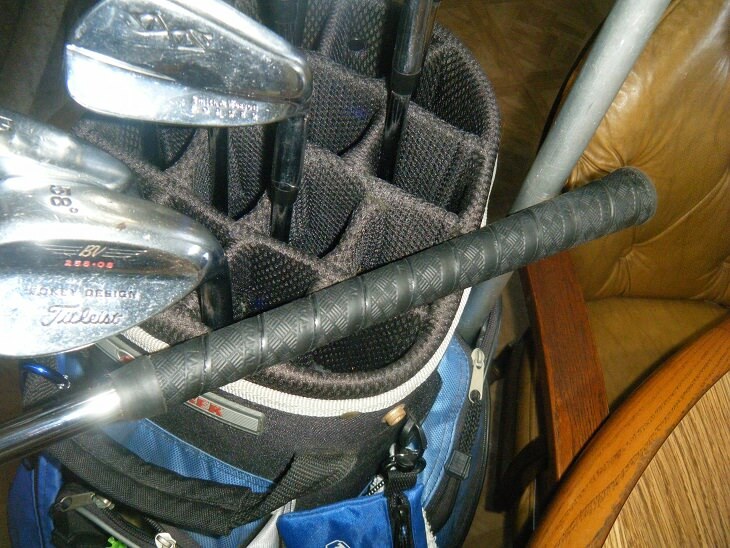 I shafted the Snake Eyes heads (generously sent by Stu) with TT Extra Lite .355 taper tips with Sensicore and gripped them with jumbo Karacal wrap style grips. 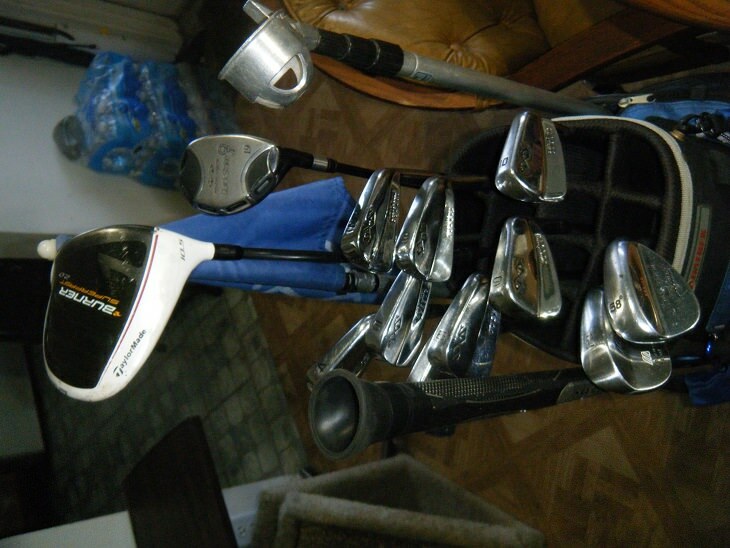 Assuming that these perform as expected (and I will work to see that they do) I plan on selling both my Mizuno Cimarrons and Ping G10's as complete full sets with bag here locally to get a start on funding the G700 purchase I want to make. I will also continue playing the 67/68 Spaldings, 71/72 WS, and occasionally the 60/61 WS. I am keeping the Palmer Tru-Matic and lil'David Slinger sets as loaners should any of my erstwhile vintage playing WRXer friends make it this far south. Nice job Tim and Stu! Can't believe the Cimarrons are going up for sale though. I've heard only great things about those original Snake Eyes heads, but that doesn't mean they're going to feel like the Mizzies. 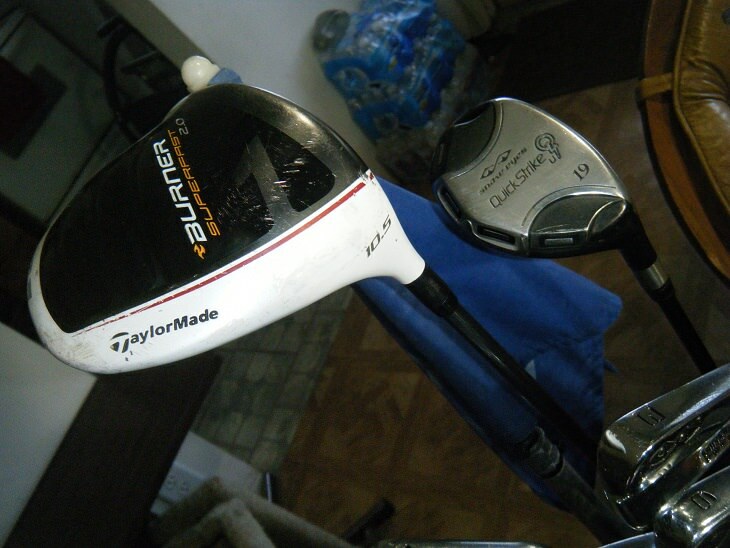 What an awesome feeling combination of heads, shafts, grips. Shot around 81 my first time out with them. B.S. : The Mizuno Cimarrons are awesome but as understanding as my wife is she's still only going to let me have so many sets without giving me grief. 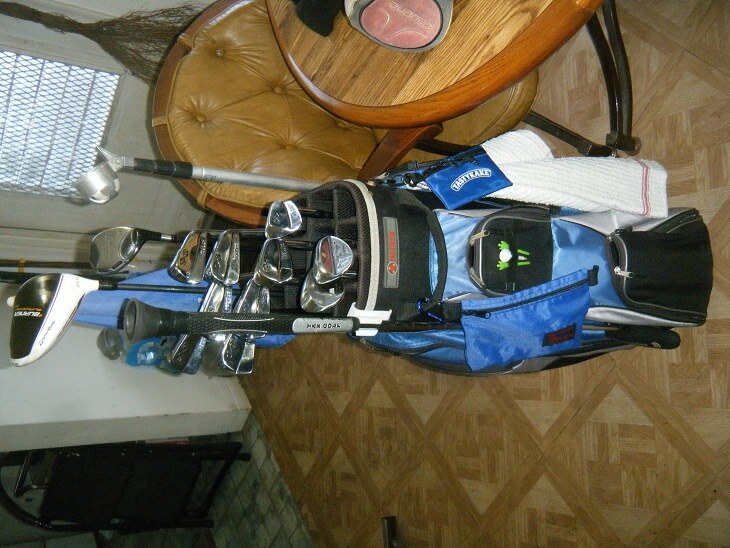 I figure the Mizuno set will be a relatively easy sell and I need to start funding my G700 purchase. Had a set of those back in the day and got my first ace with the 8 iron. But, they had to eventually get sold. Too much offset for me and didn't feel as good as some other forgings of that vintage. 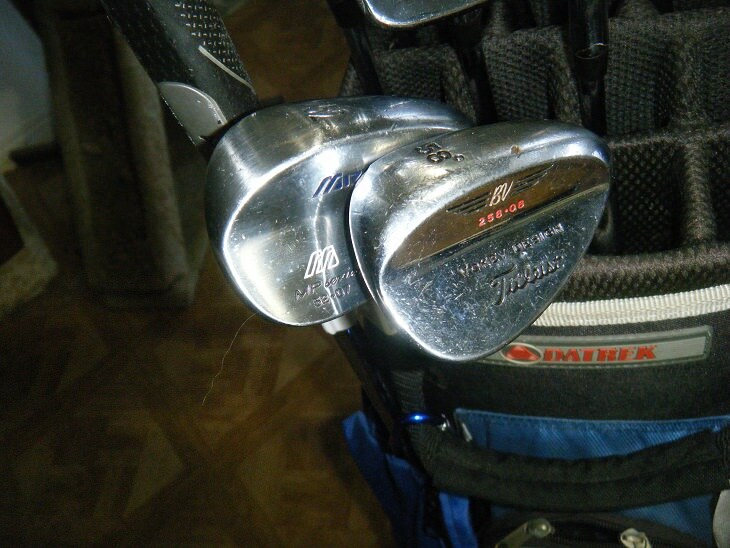 That said, I still have a set of the EV wedges in my vintage bag.